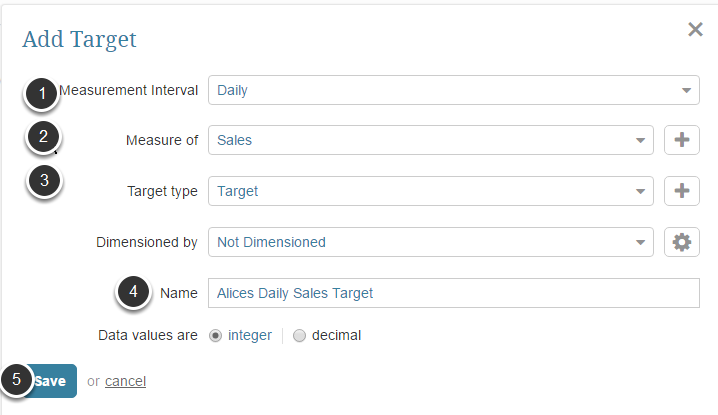 Deriving values based on other Targets uses either aggregation of data or interpolation, the process by which the value of a higher-frequency target value is inferred based on an existing lower-frequency target; for example, determining daily target values from an existing monthly target. 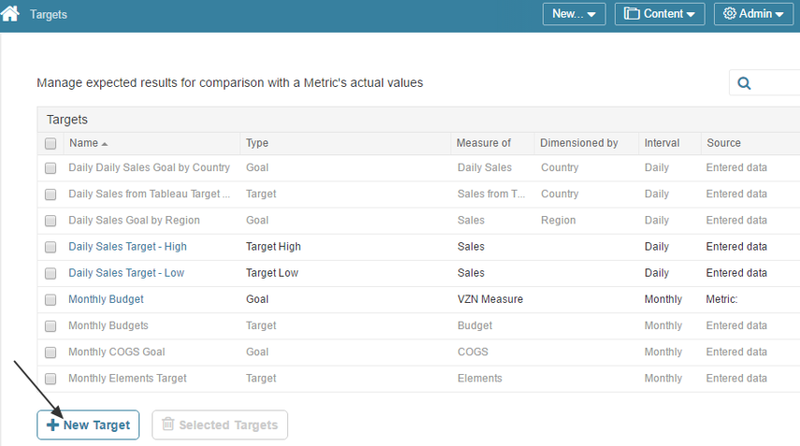 NOTE: All Targets created in Metric Insights are unique. ONLY ONE Target can be created using a combination of Measurement Interval, Measure, Type, Dimension. 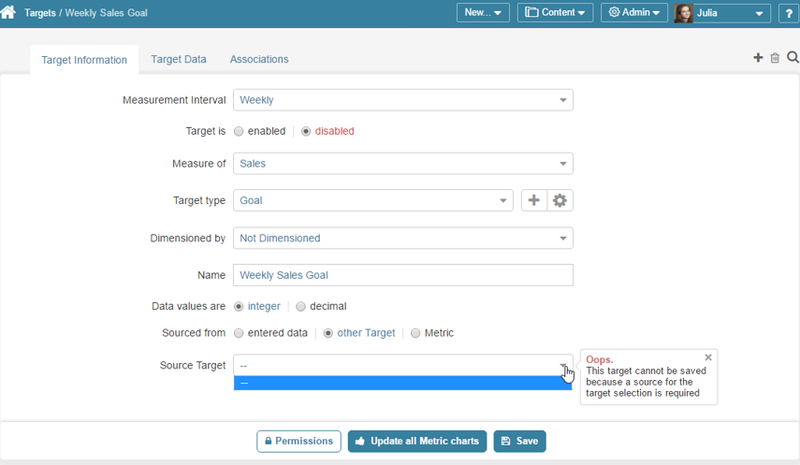 If you set a Sourced from option to 'other Target', you populate the new Target using data from the Target that you select in the field below from list of accessible items that appear dynamically. 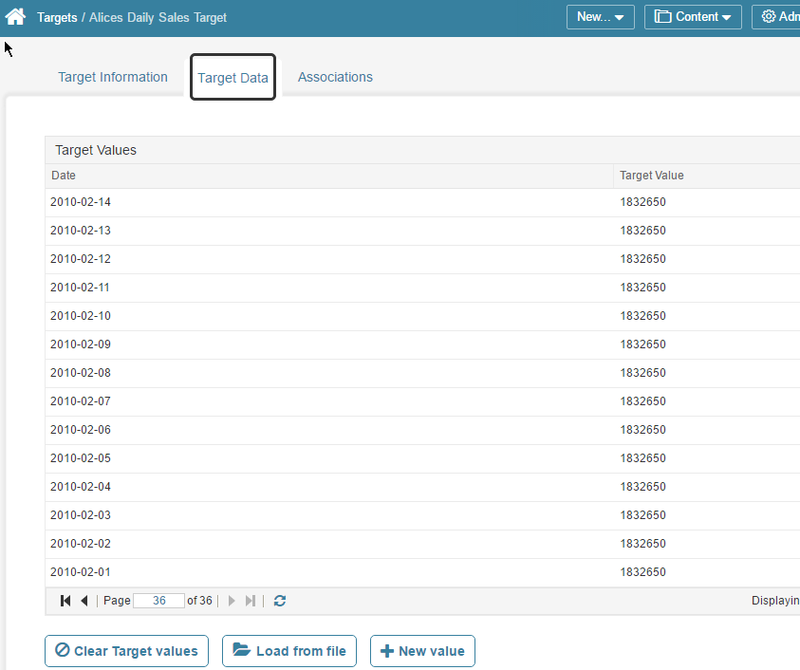 When you click Save values from the source Target’s data tables are used to compute the new Target's values and are automatically loaded into the Target Data grid. NOTE: If you select another Target source, all existing target data are automatically deleted and re-loaded from the newly designated source. 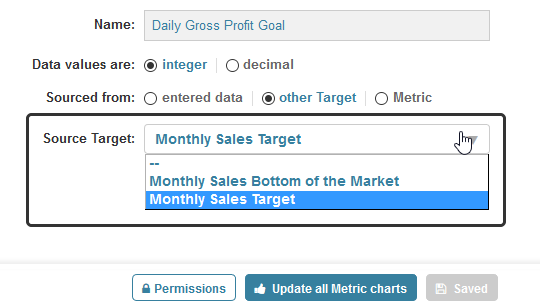 If the Target's Measure Of setting is defined as NOT additive, the rules in the table above apply. 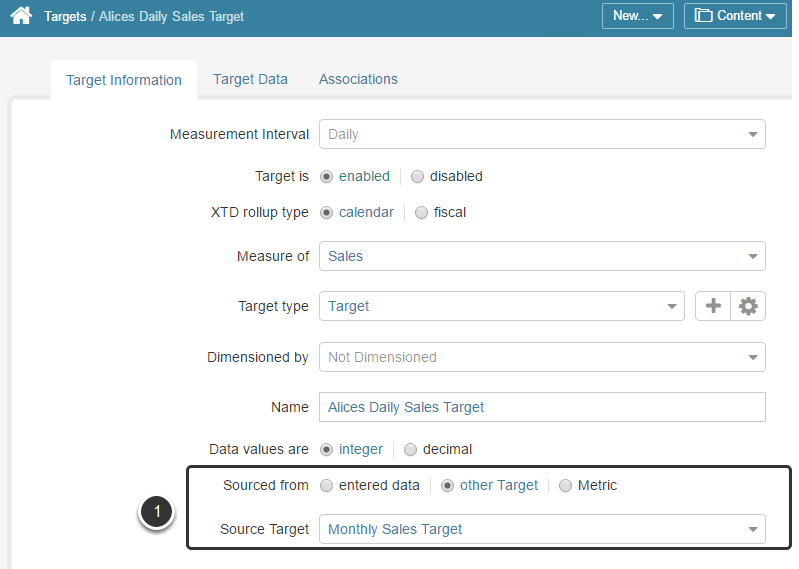 NOTE: XTD targets can only be derived from existing target values for measures that are additive. When deriving Target data from 'Other Target', the system checks for suitable sources. If none are found, you are notified with an error message when attempting to Save your Target.